Our vision is to secure safe homes and communities for everyone, and these repairs are changing lives one home, one community at a time. But we couldn’t do it without the support of over 500 volunteers each year and generous donors who help fund our work! So as we approach the end of 2018, will you make a donation to our “Rebuild a house. 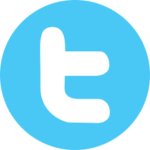 Create a home.” campaign and help us complete one of the projects on our list? Don’t Miss Our House Selection Meeting! 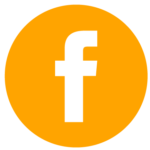 It’s almost time to select your house(s) for Rebuilding Day 2018! See the important details below and how you can access the project pictures to assist you in making your selection! Click here to access the Project Pictures. More houses will be added in the days leading up to the selection meeting. 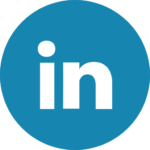 Email us at Info@RebuildingTogetherKC.org if you are attending the House Selection Meeting and we will send you a list of the project site addresses. Although no home visits are allowed before the meeting, you will be able to find the location of each house. 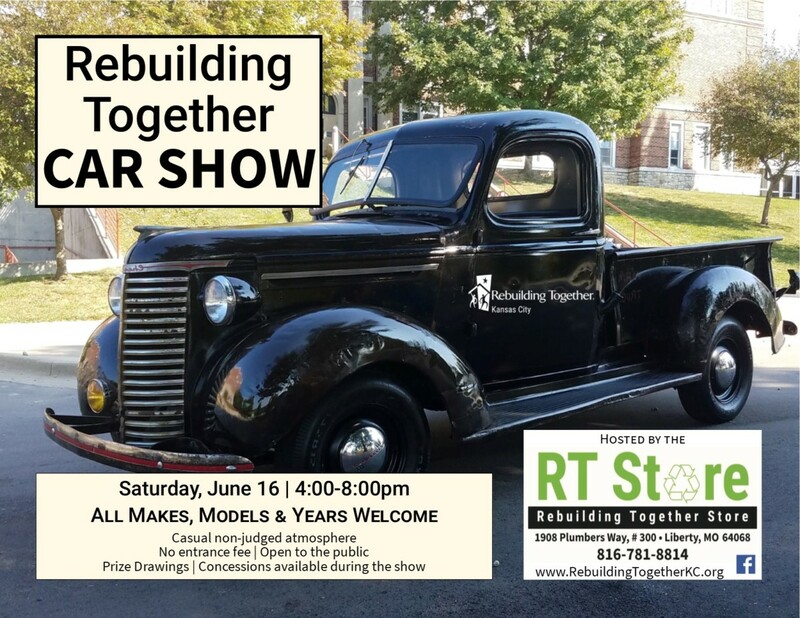 Contact our office at Info@RebuildingTogetherKC.org or call 816-781-8985 for more information. 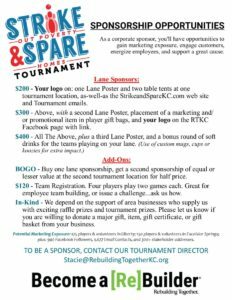 Want to get your business involved or would like to become a Rebuilding Day Sponsor? 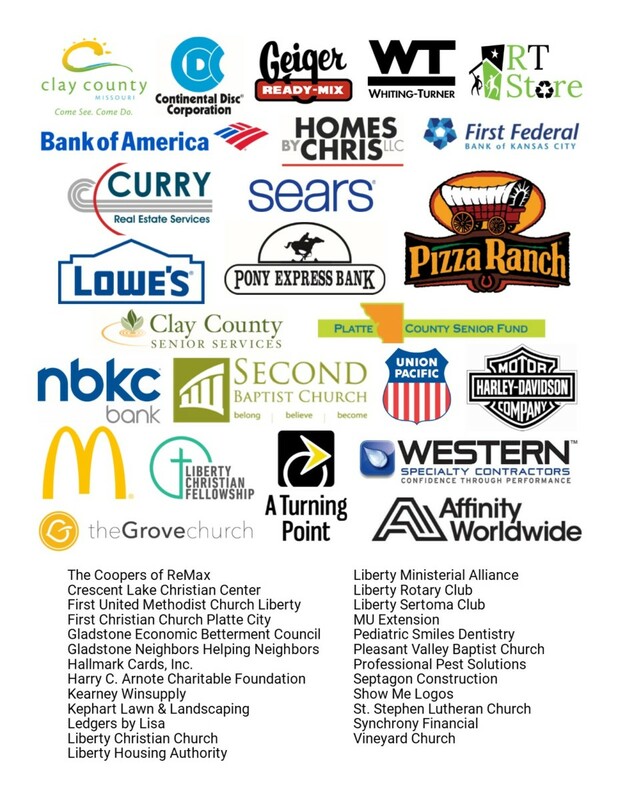 Check out our Sponsorship Commitment Form. Rebuilding Day 2018 will be Saturday, October 6th! In April, RTKC had the honor of working with a team of local volunteers to improve the home of Kalie George, Executive Director of Urban Christian Academy (UCA), a private, Christian school in Kansas City, Missouri. RTKC partnered with Pleasant Valley Baptist Church and First Christian Church of Platte City to work on this vital home repair project. In the spring of 2017 the home of Ms. George flooded after her sump pump stopped working during the seasonal storms. To further the school’s mission, George often houses UCA students in need in her home’s basement. Without the space afforded by the finished basement, this refuge was not available. 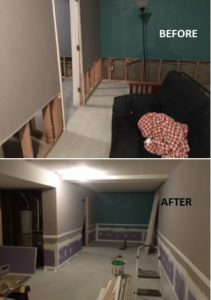 Renovations to the home included: floor and wall repair, replacement of sheet-rock 2′ up all the way around the basement, installation of a new sump-pump with a backup battery, installation of new interior doors and chair rail, and the framing of a new furnace room bi-fold door. The crew has yet to complete guttering, final interior painting, and interior shelving for extra storage. Together these groups created a safe and healthy home in which to foster the mission of the Urban Christian Academy. The George home project denotes RTKC’s official expansion into Jackson County! Also in April, RTKC became a Missouri Medicaid approved provider of Developmental Disabilities (DD) support services for Environmental Accessibility Adaptation (home modifications)! The RT Store had its biggest month to date in March and again in April. The Store started the month with an inventory of 40 new window air conditioning units and have already sold 14…and it’s not even hot yet! Currently, the Store is low on kitchen cabinets and is looking for donations. 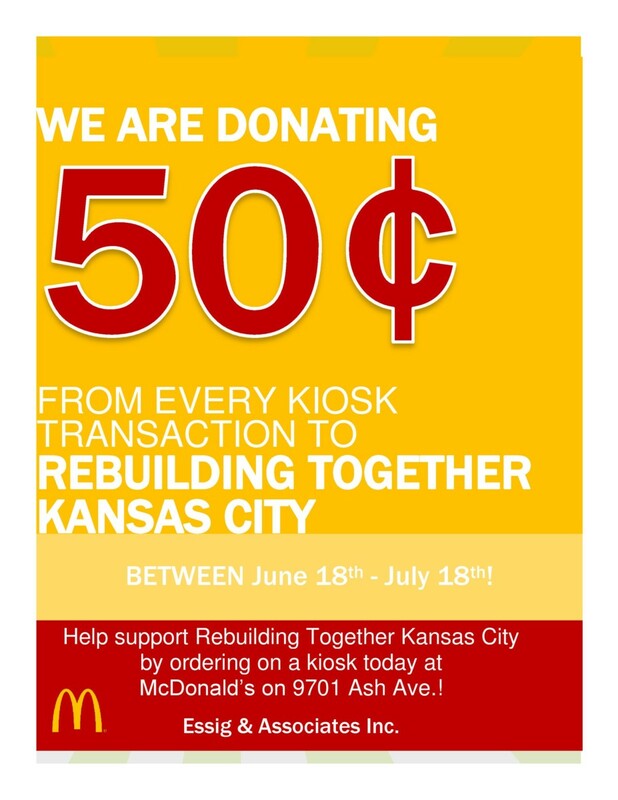 Call 816-781-8814 to schedule a donation pick-up today. 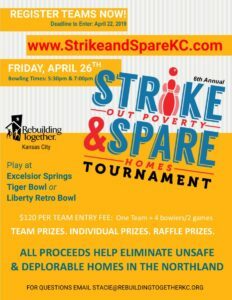 RTKC finished April with the celebration of the 5th Annual Strike & Spare Tournament. With 252 bowlers we not only met our goal, but we shattered our previous fundraising record by almost $10,000. So, thank you again to everyone who supported the 2018 Tournament. In May, RTKC Kicked-off an innovative Revitalization Program in Excelsior Springs. Watch for more information on this in the coming months. Project Managers, Ed & Marty, have completed 49 Safe at Home modifications for 24 homes and 36 residents since the beginning of the year (Jan-March). Some of the modifications included: entrance improvements, grab bar installations, heating & cooling improvements, shower seats, toilet risers, removal of glass shower doors, and stair/chair lifts – to name a few. In June, RTKC will be partnering with The Whiting-Turner Contracting Company to complete work on a Northland home that has been on our waiting list for several years. Tim is a 50 year-old man who has experienced tremendous challenges all of his adult life. Shortly after graduating from high school, Tim’s mother suffered serious leg and foot injuries. Tim immediately became her primary care-giver in her home. He started working two jobs just to make ends meet. In addition, Tim’s grandmother moved into their small house, as he was needed in caring for her as well. In 2006, Tim was the victim of a driver who ran a red light. At the time, Tim was working for DHL package delivery service; the man smashed his truck and Tim nearly lost his life. He suffered major injuries, and was deemed as permanently disabled by the workers comp doctors. It took a long time to begin receiving any disability checks which caused a tremendous strain on their financial situation. His grandmother passed away shortly after his accident, and his mother passed away just three years ago. Tim continues to suffer from his disabling conditions, and his very low disability income does not enable him to afford necessary home repairs. He survives by going to a food pantry every week and by living with minimal means. Through all of these setbacks, Tim’s life has resulted in a string of serious physical, emotional, and financial challenges. Through years of physical therapy and various treatments, Tim has been able to walk again, but with limitations. Now he is left with a house that is in drastic need of critical repairs. He continues to live in his mother’s house which is in a substandard state and getting worse. 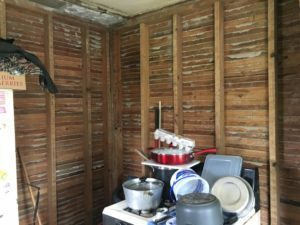 The plumbing was updated by his uncle, but the walls, flooring, and cabinets in the kitchen are in serious need of rehab. Tim’s roof is leaking in some areas causing interior damage, and his back porch is unstable and very unsafe. Tim told us, “anything that we are able to do to help him out would be greatly appreciated.” He is actually not asking for much, and with Whiting-Turner’s support and volunteer help, we will be able to accomplish most of his list of requests. We continue to receive applications for assistance weekly and Rebuilding Day is just around the corner. Be sure to reserve Saturday, October 6 on your calendar for Rebuilding Day 2018. 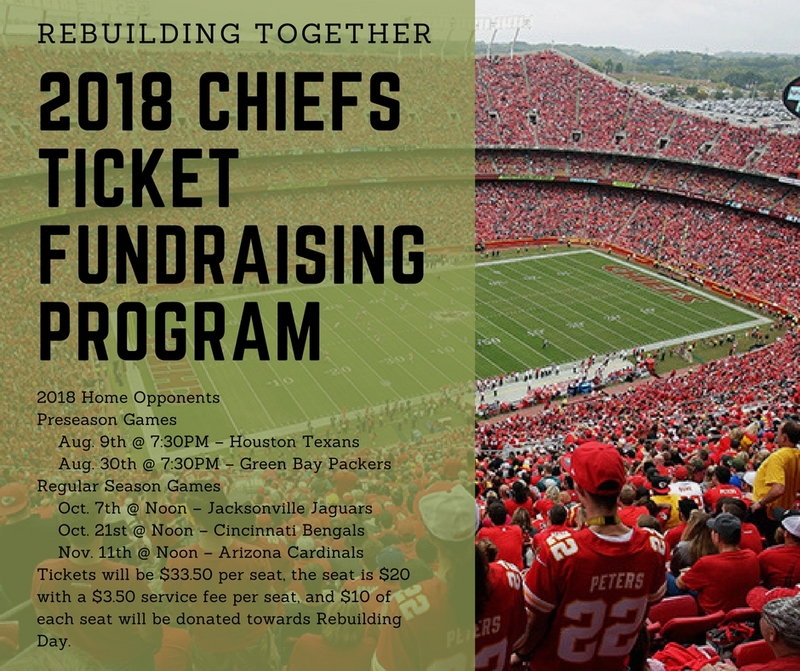 Purchase tickets for select 2018 Chiefs games by clicking on the link below. 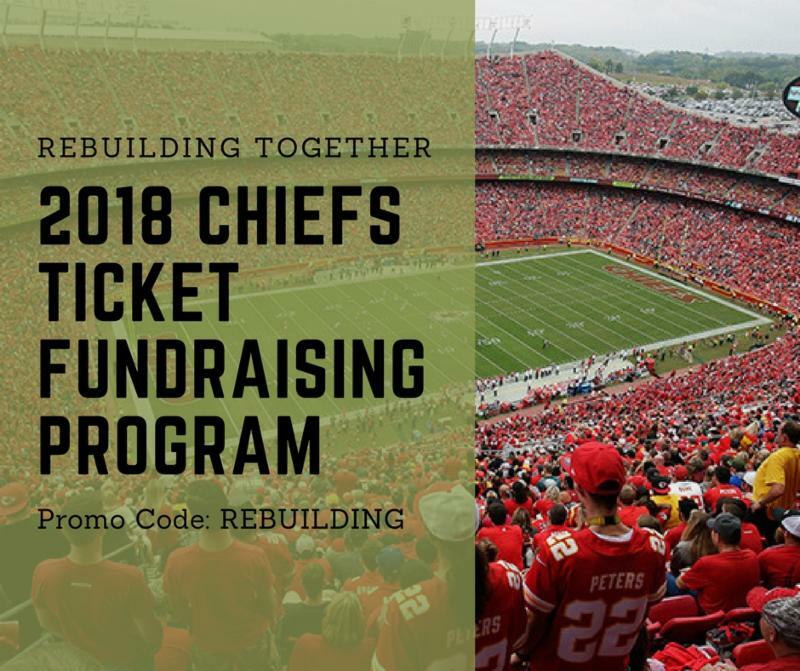 Enter the promo code REBUILDING to buy Chiefs tickets for just $33.50! 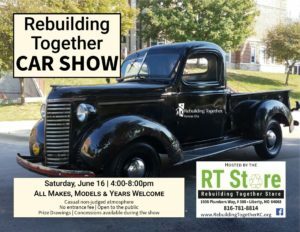 Each ticket sold provides $10 toward Rebuilding Day projects. There are five home game dates to choose from.